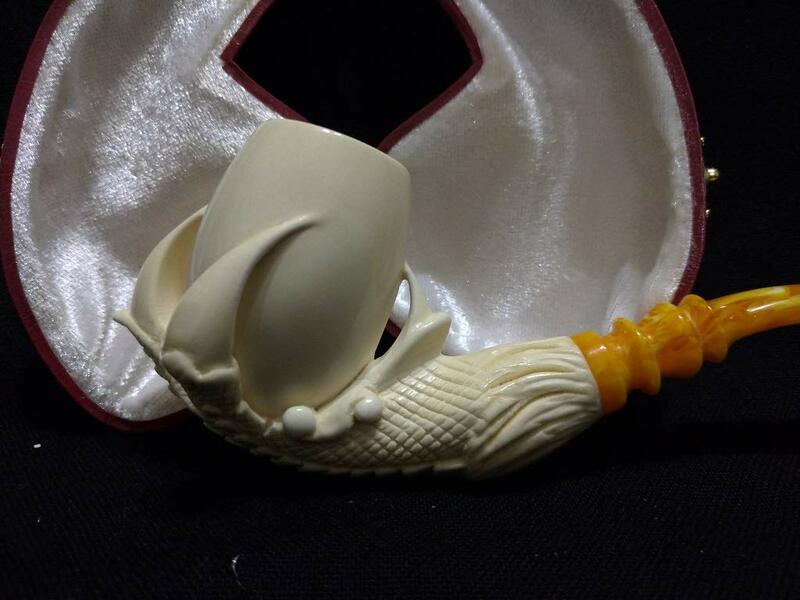 CLAW & EGG MEERSCHAUM PIPE HANDCARVED FROM BLOCK MEERSCHAUM BY ADNAN Made of premium block meerschaum Acrylic stem Teflon tenon imported from Germany Wide draft hole Quality fitted hard case lined with soft velvet Solid brass case hinges imported from Germany Dimensions Lenght : 15,80 cm / 6,22 inches Height : 5,60 cm / 2,20 inches Width : 2,50 cm / 0,98 inches Bowl Diameter : 2.00 cm / 0.79 inches Bowl Depth : 4,50 cm / 1.77 inches Only The Very Best!! 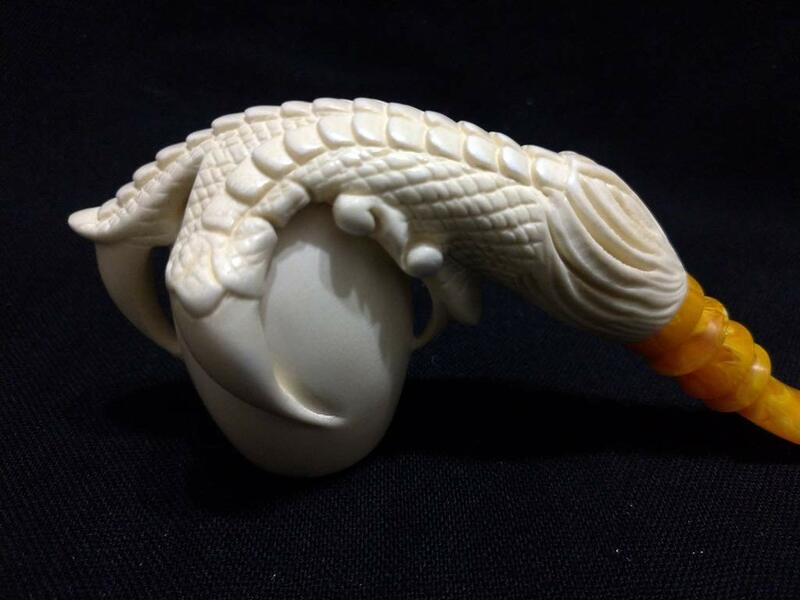 From Eskisehir-Turkey to Worldwide !! 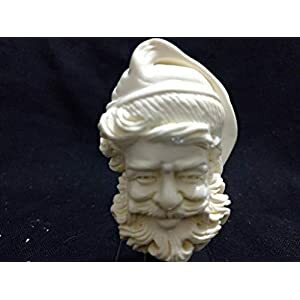 OUTLET PRICE !! 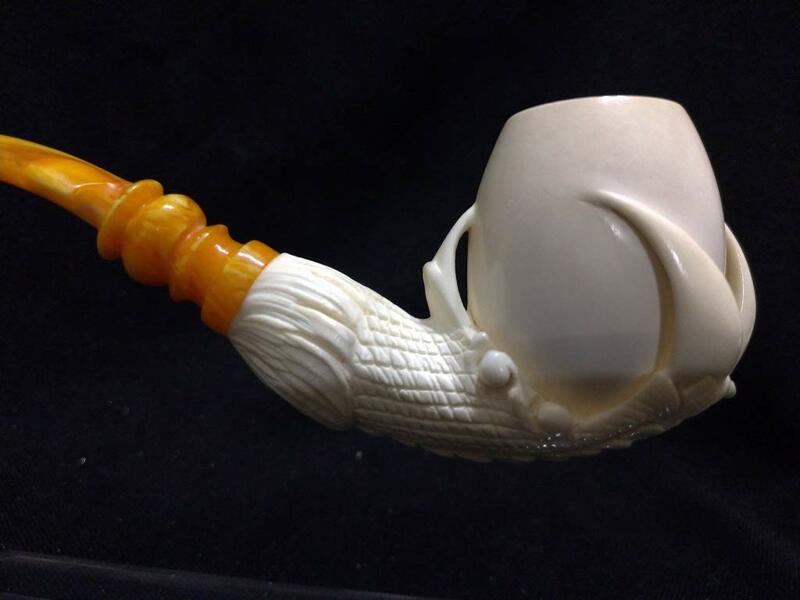 Work of Art. 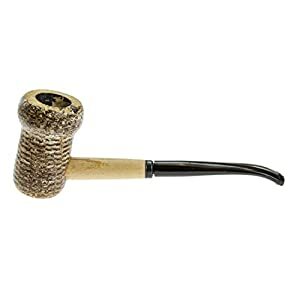 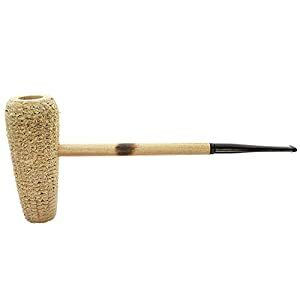 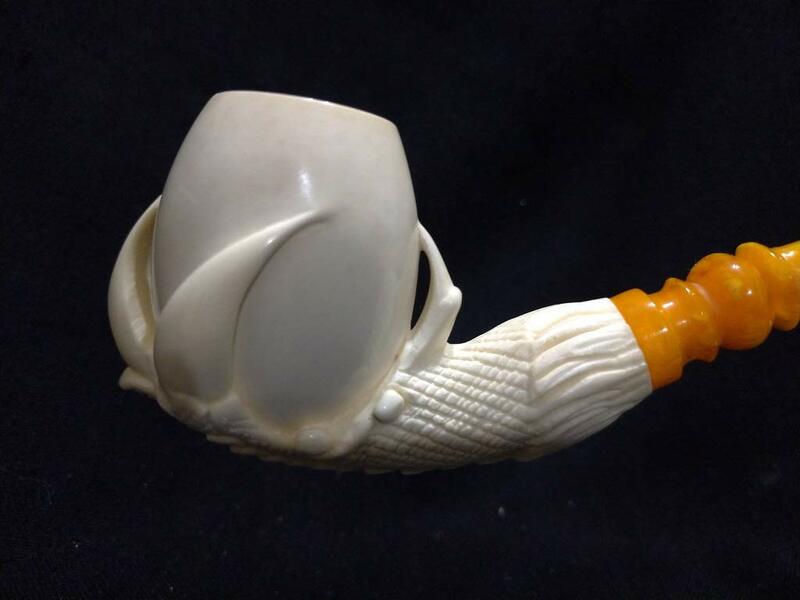 Made of 100% highest grade Meerschaum ! 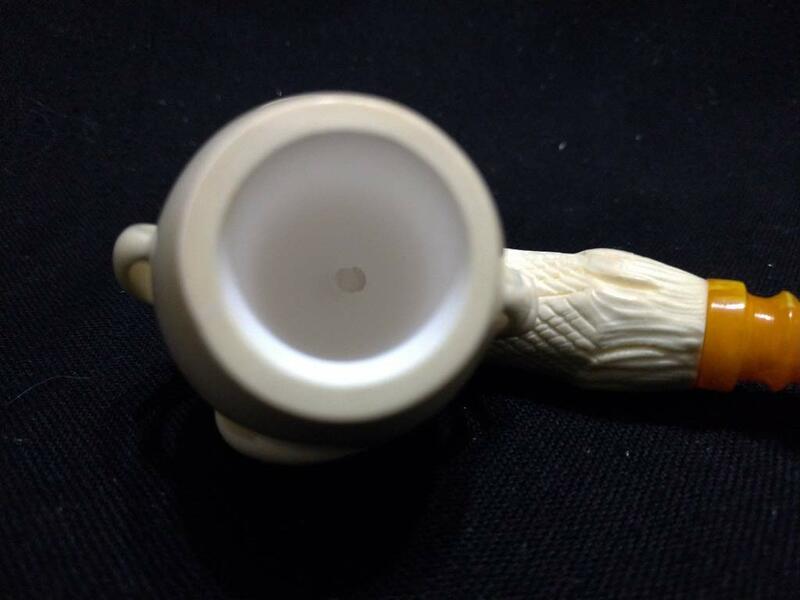 100% satisfaction guaranteed!! 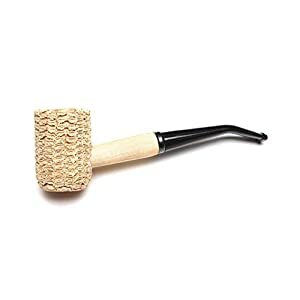 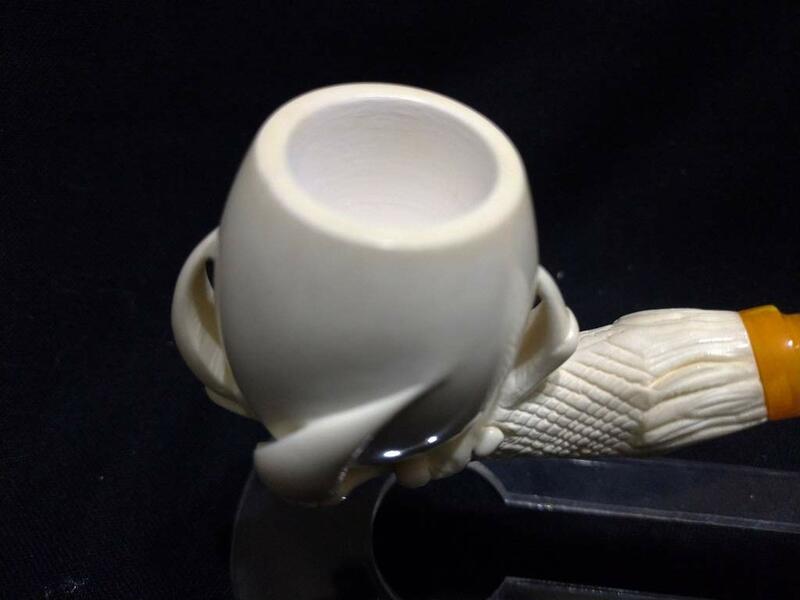 Since each Meerschaum stone is hand carved with intricate designs so no two are exactly the same, and each one differs slightly from the pictures Outstanding Craftsmanship. 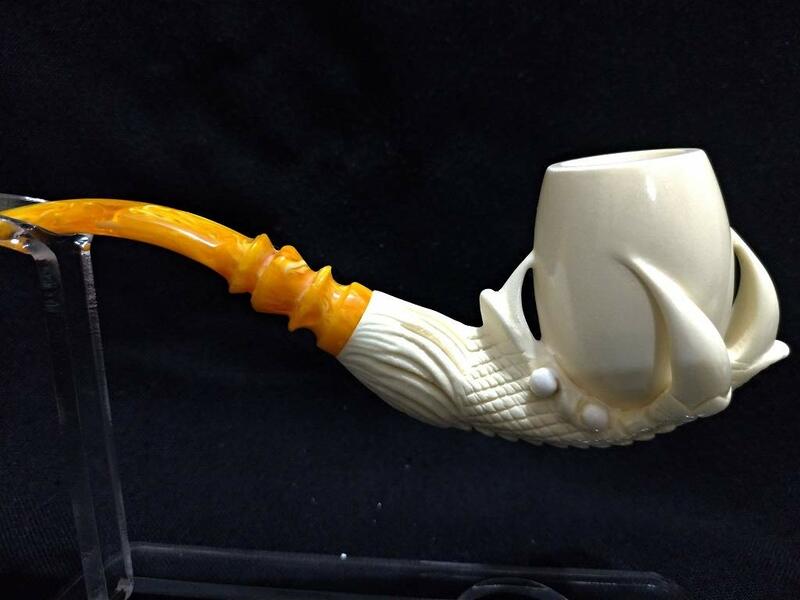 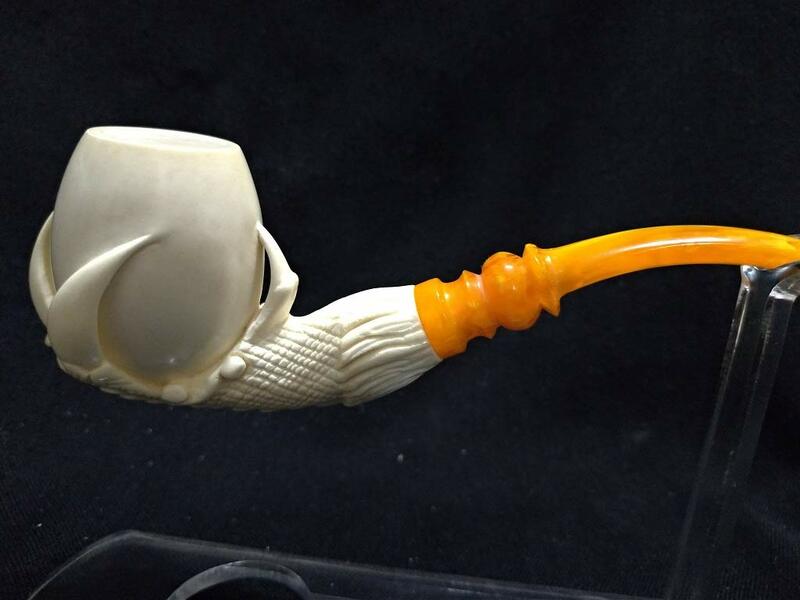 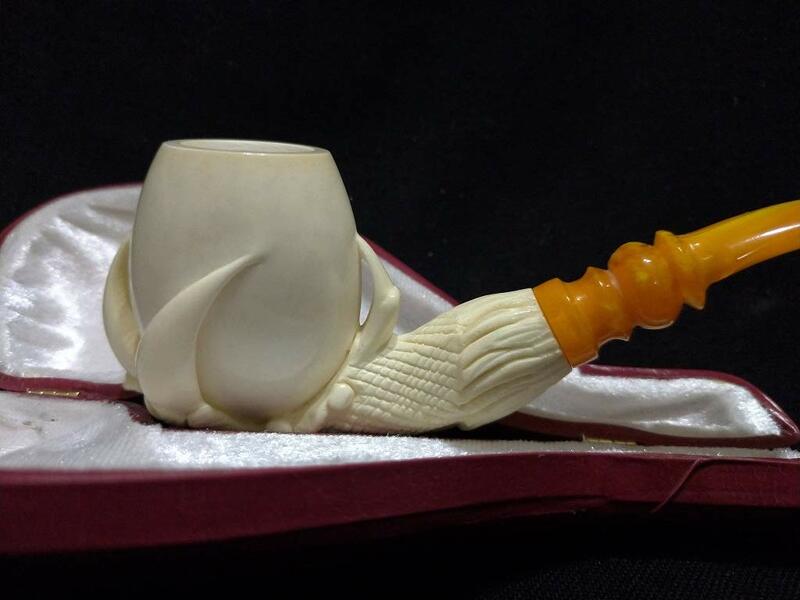 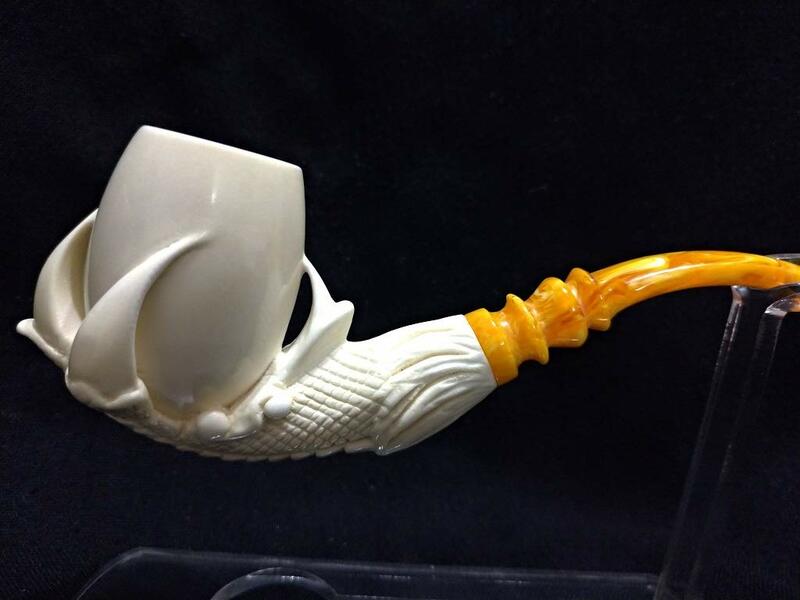 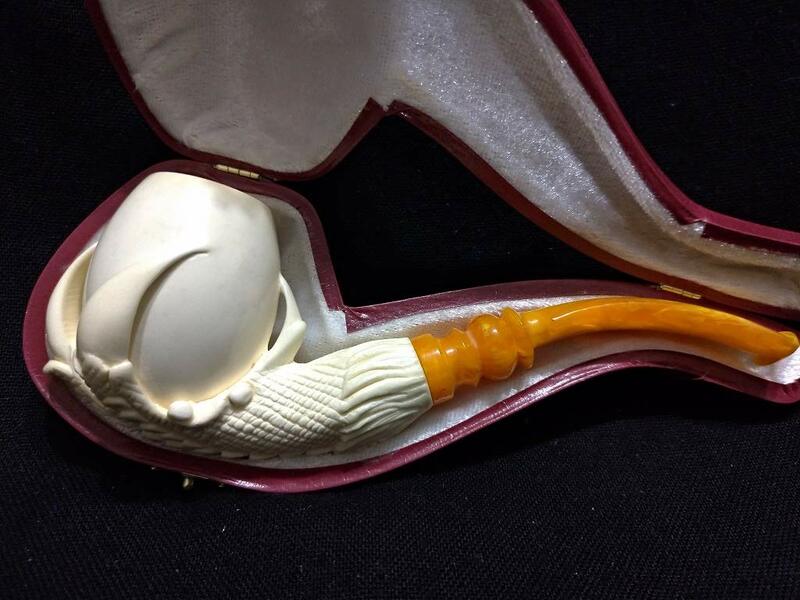 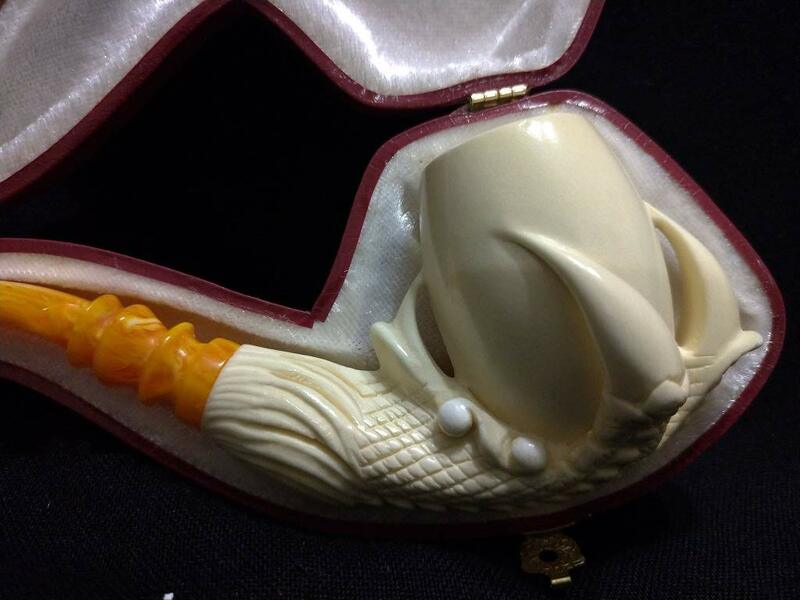 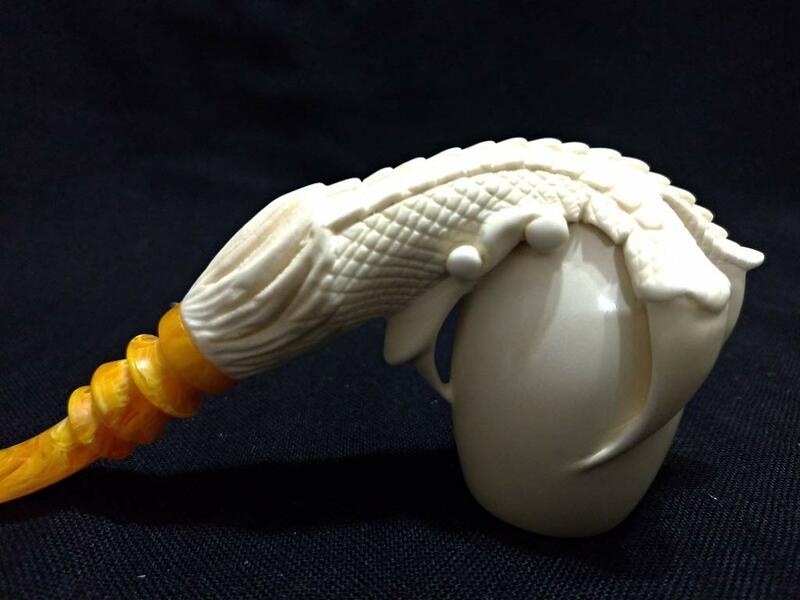 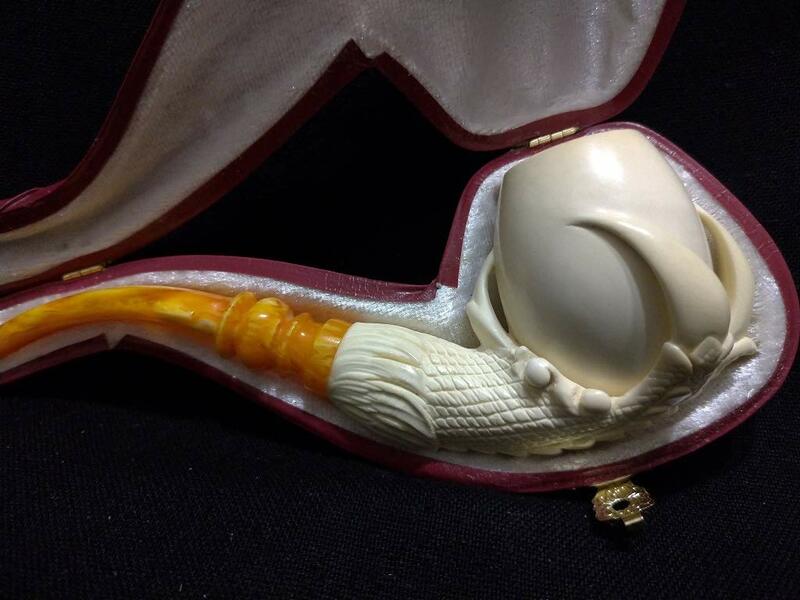 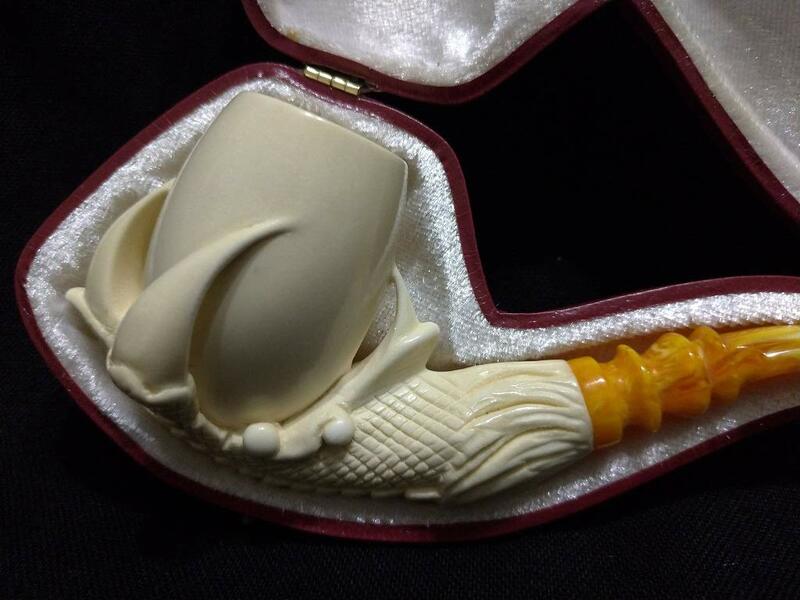 All items are handmade from the finest quality meerschaum, brand new and shipped in up to 2 business day !!! 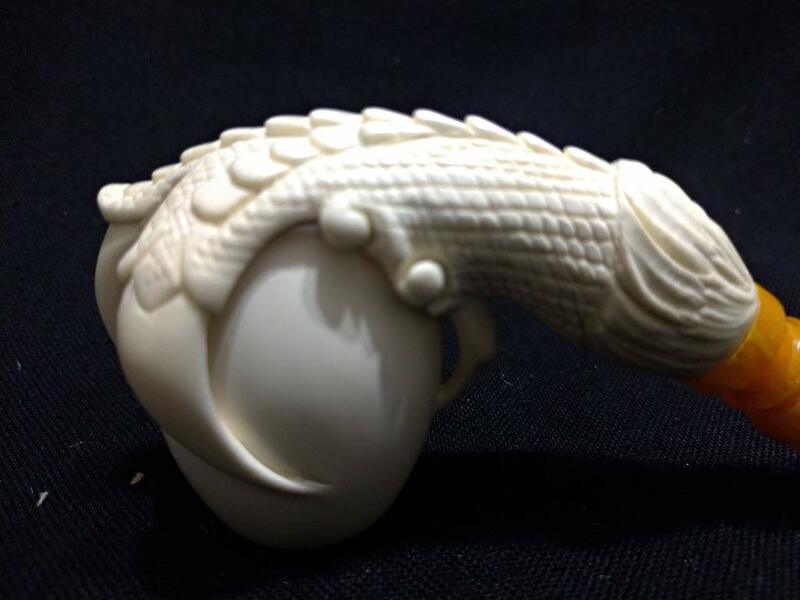 Expect the BEST! 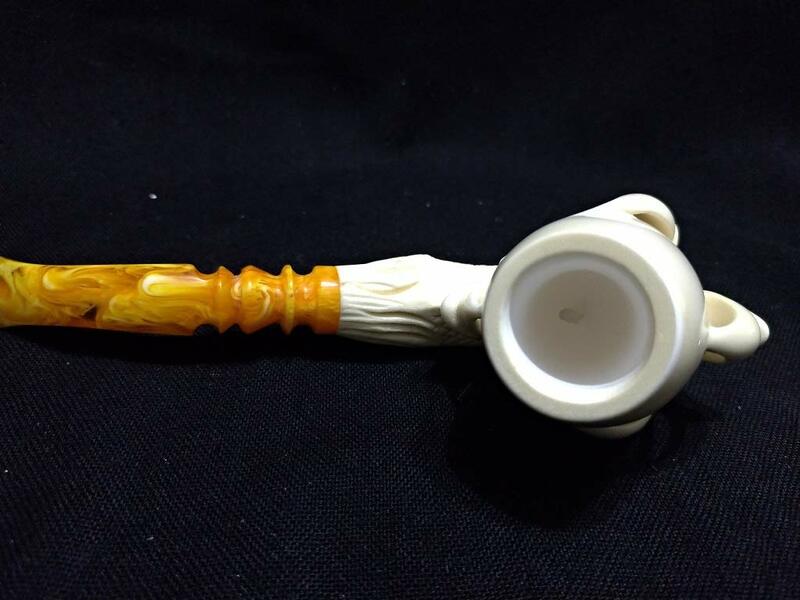 Our works are based on ensuring a mutual trust and high level of satisfaction among our customers to establish long term relationship with our clients from all over the world.